Macys - Macy's Star Small Coin Purse, Created for Macy's Bring the magic of Macy's wherever you go with the Dani Accessories black & gold Macy's pouch. Kipling - Marguerite Coin Purse Gather your coins in modern style with this zip-around coin purse by Kipling. 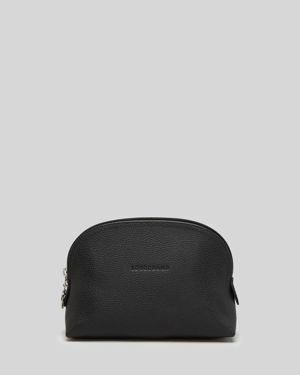 Nine West - Table Treasures Horizontal Wristlet A versatile purse that fits most phones this Nine West wristlet is the perfect size for stashing on-the-go essentials. Carry in hand or clip into a larger bag for additional organization.
. - Borse Woven Coin Purse A detailed exterior adds a touch of flair to the ultra-convenient Patricia Nash Woven Borse Coin Purse. 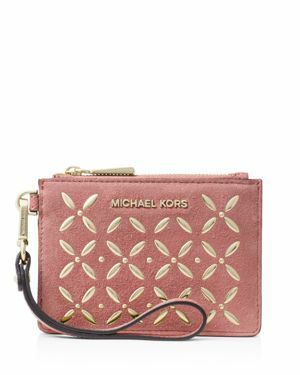 Guess - Shawna Slim Clutch Wallet slim clutch wallet conceals more than a dozen slots and pockets in a sleek design that complements a variety of purse styles. Royce Leather - Royce Slim Coin Purse Holder Wallet in Genuine Lea Snap Closure open up to a handy Genuine Leather tray allowing easy access to coins The inside flap covers a small pocket for currency or keys.
. - Pug Zip-Top Pebble Leather Coin Wallet in support Coin purses just don't get cuter than this. The Radley London Pug Zip-Top Coin Wallet is sure to keep your essentials right at hand.
. - Minnie Mouse crossbody purse and matching billfold wallet man made material NWT. Longchamp - Le Foulonne Dome Cosmetics Case s petite purse-friendly cosmetic case is luxuriant in lightly textured leather. The Sak - Ventura Convertible Leather Backpack The Ventura backpack by The Sak displays an adventurous sense of style with a rugged leather construction and convertible straps that transform it into a messenger purse!
. - Disney X Coach Purse Wristlet Bag - Black w Mickey Mouse Ears - Ltd Edition!! !